Erik Satie (1866-1925) is praised by historians for helping to provide the pre-war pathway to minimalism in classical music. His piano compositions, most famously the Gymnopédies suite of 1888 and the Gnossiennes suite of 1893, set the tone for experimentation within the next century of composers. These composers traversed new understandings of tonality, space, and emotion, even as academic trends in composition gravitated toward serialism and theory. Satie‘s love of repetition in melody and chordal changes helped to shape the foundation of the New York School (Cage, Feldman, Wolff, etc.) and West Coast minimalism (Terry Riley, Steve Reich). Even his compositional forms, such as A-B-A-B-C-B, can be seen in everything from early jazz to contemporary pop. Even while his music remains timeless and beloved in 2016, very few music lovers know about the various eccentricities to Erik Satie’s persona and lesser-known works, some of which made him quite notorious amongst his contemporaries in turn-of-the-century Paris. If you’re not in-the-know with Satie, prepare to be enlightened. Even Kanye could learn something from this guy’s eccentricities. Do I dare call him the original Satieezus? 1. Satie once composed a piece to be repeated 840 times in immediate succession. Vexations has only been performed in completion a handful of times. The most famous was its New York City premiere in 1963 under the direction of John Cage and The New School. 2. Satie founded his own religion. From 1891-92, Satie was composer-in-residence for the Mystical Order of the Rose and Cross of the Temple and Grail, an occult sect founded by Joséphin Péladan (yup, this guy), a close friend of Satie’s at the time. During his time with the Mystical Order, Satie composed several pieces that utilized free-flowing harmony based on nature and emotion. This era would go on to heavily influence the work of Olivier Messiaen and other mystic composers. 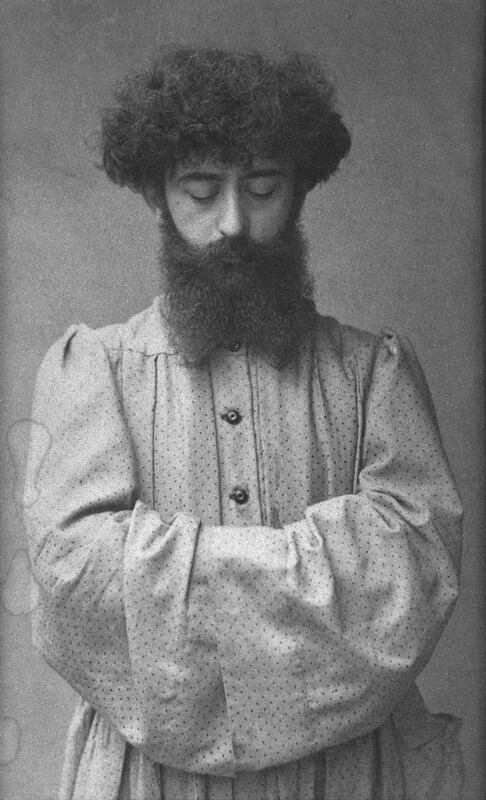 After a personal falling out with Péladan, Satie founded his own sect of occultism in 1893 named Église Métropolitaine d’Art de Jésus Conducteur. To this day, Satie remains the sole congregant of the church. 3. Satie had only one confirmed romantic relationship in his life. 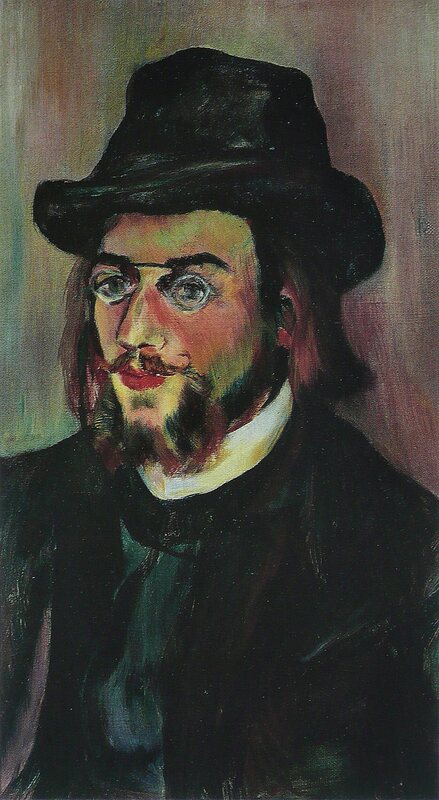 While working at Le Chat Noir as a back-up house pianist at the age of 21, Erik Satie met Suzanne Valadon, who actually lived in the apartment next door to his. Immediately after meeting her one January night in 1893, Satie proposed to Valadon. For six months they painted each other and sailed toy boats together in the Luxembourg Gardens, all while Satie dove deeper and deeper into experiments in post-tonality. Suzanne Valadon abruptly left Satie while he was composing Vexations, making its eerie chordal structure and repetition all the more unsettling. Satie states that after Valadon left, there was “nothing but an icy loneliness that fills the head with emptiness.” This remains the only confirmed romantic affair Satie that had ever encountered. 4. Satie’s friends called him “Mr. Poor,” and he carried a hammer with him wherever he went… for protection. By 1900, Debussy and Ravel had gained critical popularity, and were seeing some significant financial success. Meanwhile, Satie remained a poor outsider, continuing to experiment in avant-garde cabarets and theaters. Satie moved to an impoverished industrial suburb in Paris and walked several miles to and from performances. On his walks back, Satie could be seen brandishing a hammer, which he said he carried for his own protection. He would remain walking these commutes downtown, hammer in hand, for the rest of his life, even as his celebrity grew in his later years. 5. Satie barely graduated music school, completing his studies only after returning at the age of 40. During his initial enrollment at the Paris Conservatory, Satie was labelled the “laziest student in the conservatoire” by his instructor Émile Descombes in 1881. While known for his compositional intuitions as a student, Satie lacked the sight-reading and technical skills needed to move beyond the intermediate keyboard classes. It was during this time period of being called “worthless” from visiting instructor Georges Mathias that Satie composed some of his greatest known works, including Les Gymnopédies, whose lack of virtuosic complexity is replaced with simplicity and zen-like patience. In 1905, at the age of 40, Satie returned to music school, focusing this time on building “classical” chops and technical skills among students half his age. He graduated at the top of his class the following year. 6. Satie utilized inter-disciplinary art before it was even a thing, and it landed him in jail. Satie premiered Parade in 1917 which was a ballet that synthesized live music, dance, poetry, visual art, set design, and fashion. Many viewed the work as the first performance piece to break outside of the Wagnerian expectations of what concert spectacles ought to be. Parade was also remarkable for its professional team — Satie worked with poet/artist Jean Cocteau, who provided the libretto, and Pablo Picasso, who designed the sets for the performance. While many in the French artistic community at the time praised Parade, its premiere resulted in a riot outside of the concert hall. Satie, Cocteau, and company were charged with “cultural anarchy” and put in jail for 8 days. The premiere of Parade and the controversy surrounding it created a cult following, turning Erik Satie into somewhat of a celebrity in the late 1910s. 7. Satie’s diet was tragically bizarre. 8. Satie never considered himself a composer, or even a musician. Are these the ramblings of an absinthe-drunk artist, or a scholarly prediction of the importance of recorded sound in the future of music? 9. Satie created “background music” before it was even a thing. Coined furniture music, Satie conceptualized a concert experience where an audience intentionally ignored the performers. The “music as wallpaper” was purposely not listened to while the ensemble sat scattered amongst the patrons. In 1902, Satie and his ensemble premiered furniture music in a Paris art gallery, where he begged his audience beforehand to ignore the performance to come. Despite his efforts, the audience politely hushed as the performance began, for they were thrilled to see performers play amongst the crowd. The concepts of ambient music, sound installation works, and even muzak and lobby music all have their roots in Satie’s sonic wallpaper. We’ve seen furniture music go from an experimental performance practice to an unavoidable phenomenon whether we acknowledge it or not. 10. Satie’s day to day life was, well, unusual. At one particularly low point in his popularity, Satie was criticized for not having the ability to write music with any form. So he subsequently penned a tongue-in-cheek work called “Three Pieces in the Form of a Pear.” And it is, of course, split into seven parts. When he passed away, Satie’s landlord let his friends and family into his apartment where nobody had entered in years, only to find that it was chaotically filled with over 100 umbrellas, among other things. Max Alper is a sound artist, educator, and writer living in Brooklyn, NY. 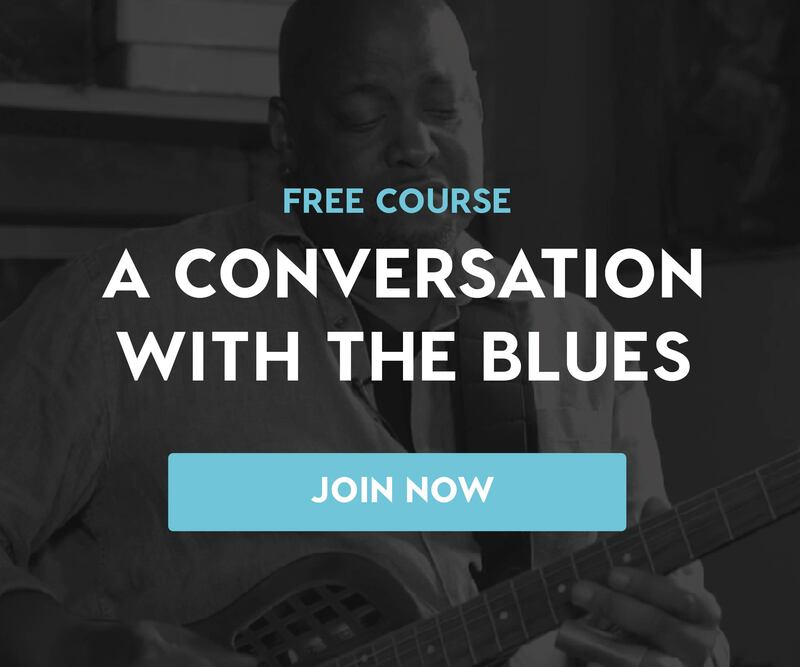 He is the founder and executive director of Sonic Arts For All, a non-profit start-up whose mission is to bring music technology education to underserved communities throughout New York City. He is also an adjunct faculty member of the Brooklyn College Center for Computer Music.